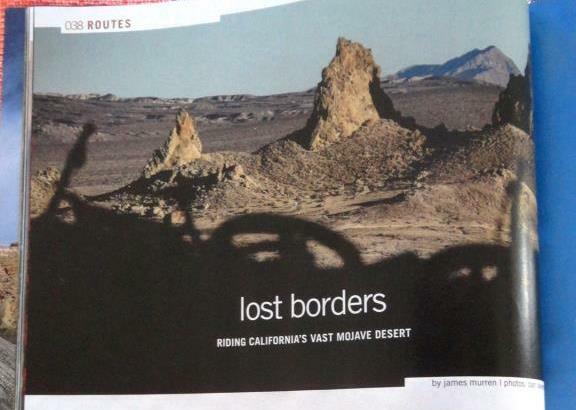 In the June 2017 issue of Bike Magazine, on newsstands now, is an article I wrote on riding the high Mojave Desert in and around the Trona Pinnacles and Rademacher Hills of Ridgecrest. I give a nod to how I learned of the area while chasing love 17 years ago, as well as pay homage to Mary Austin. 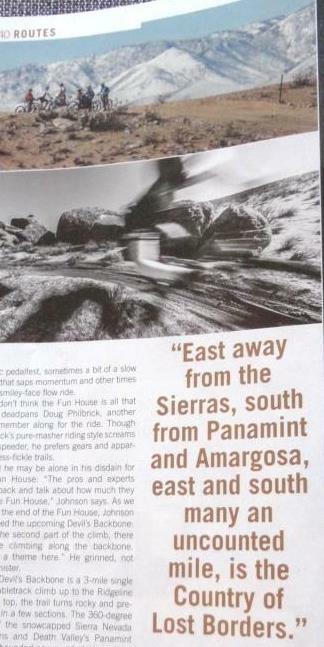 Special thank you to the High Sierra Cyclists.